The New South Wales Legislative Council consists of 42 members who serve staggered eight-year terms, with half the seats falling vacant at each election. As such, the coming election represents an opportunity for Labor in particular, and the left more generally, to rebalance the chamber after the epochal disaster of 2011. The chamber currently consists of 24 members of the right (13 Liberals, seven Nationals and two each from the Christian Democratic Party and Shooters Fishers and Farmers) and 18 of the left (12 Labor, four Greens, one ex-Greens independent and one from Animal Justice), reflecting right-left splits of 12-9 in 2011 and 11-10 in 2015. This means the left will achieve parity if the outcome of 2015 is reversed, although there is little prospect of Labor being able to win votes with the support of the Greens alone. Conversely, the Coalition can only go backwards from its present position, in which only two cross-bench votes are required for a majority. The market for the right-of-centre vote looks set to be shaken up by the re-emergence of One Nation, which is presenting voters with the unprecedented novelty of a former federal Opposition Leader as its lead candidate. This represents competition not only for the Coalition parties, but also for the long-established Christian Democratic Party, which has reliably won a seat at every election since 1981, and Shooters Fishers and Farmers, which has won seats at five of the last six elections, and gained a lower house seat for the first time at the Orange by-election in November 2016. The election will be the twelfth held since the Legislative Council went from being appointed to elected in 1978, and the seventh since changes to parliamentary terms instituted the current model in which members serve eight-year terms. Previously the chamber had 45 members and nine-year terms, with 15 members up for election each time. One consequence of the change was that the quota for election was lowered from 6.25% to 4.55%, encouraging micro-parties to proliferate and alerting entrepreneurs to the potential for them to win seats by effectively pooling their votes through group voting tickets. This culminated in the metre-long “tablecloth ballot” of 1999, when three separate micro-parties were elected with less than 1% of the first preference vote. The 1999 result led to reforms that foreshadowed those introduced for the Senate in 2016, abolishing group voting tickets and allowing votes to exhaust at the point where voters ceased numbering boxes. No party that has recorded more than 2% since under the reformed system has failed to win a seat, the lowest party vote for a successful party being 1.7% for Animal Justice in 2015. This was also an unusual case under the reformed system in that the result was influenced by preferences, with Animal Justice having been slightly outpolled on first preference votes by No Land Tax, before overtaking them on preferences from the Greens. The Coalition joint ticket reserves the second, fifth and eight positions for the Nationals, giving them two safe seats and a winnable third. The Liberals' preselection arrangements break the state into eight “provinces” that are each guaranteed a safe seat over two electoral cycles, with preselections determined through a vote of branch delegates from the relevant province together with members of the state executive. The top four Liberal positions for the coming election are allocated to the four northernmost provinces, the southernmost four having had their turn in 2015. The remaining Liberal positions on the ticket  of which up to three have been known to be winnable, although one or two is more typical  are chosen “at large” by state executive members and delegates from branches statewide. None of the four provincial candidates at the top end of the ticket, who all seem assured of election, were elected as such in 2011. Two hold seats in parliament after filling casual vacancies over the eight-year cycle, one is moving from the lower house to the upper, and the other has been promoted from an at-large to a provincial position. The other two at-large members elected with the unprecedented 2011 result again have places at the lower end of the ticket, where there prospects are not as strong this time around. At the top of the ticket is the longest serving of the Liberal incumbents is Catherine Cusack, who came to parliament at the 2003 election. Cusack was elected from number six on the party ticket on that occasion, taking the “northern country” province position. In 2011 she was prevailed upon to take an at-large position at number seven  a secure enough prospect in the context of that election  which left the northern country position for Scot MacDonald. This time Cusack set herself on recovering the province position, which she achieved through a 23-18 preselection win over MacDonald, who then announced he would retire. Cusack was promoted to parliamentary secretary after Gladys Berejiklian became Premier in January 2017, but resigned six weeks later after sending Berejiklian what she acknowledged was an ill-advised email blasting her cabinet appointments, with particular umbrage taken at the promotion of their moderate factional colleague Don Harwin. However, she was restored to parliamentary secretary status in February last year. The position reserved to the north-western Sydney province will transfer from the retiring David Clarke to lower house MP Damien Tudehope, both of whom are noted as social conservatives. Tudehope was elected to the safe seat of Epping in 2015, having earlier been chief-of-staff to Attorney-General Greg Smith and a high-profile spokesperson for the Australian Family Association. His move to the upper house is a knock-on effect from Dominic Perrottet's determination to move from his urban fringe seat of Hawkesbury to somewhere nearer the city. He originally set on contesting preselection for Castle Hill, but met ferocious resistance from its incumbent, Ray Williams. The impasse was resolved through a deal in which Clarke made his upper house seat available to Tudehope by retiring, allowing Perrottet to replace him in Epping. This did not impress local preselectors, who voted against ratifying Tudehope's endorsement, despite him being the only nominee. Only with the intervention of the state executive was Tudehope's position confirmed. The Hunter/Central Coast province position is held by Taylor Martin, who replaced its previous occupant, Mike Gallacher, when he resigned from parliament in May 2017. Gallacher was among the brace of Hunter region and Central Coast MPs who fell foul of ICAC's investigations into political donations from property developers, prompting his resignation from cabinet in May 2014. Martin, a 26-year-old electorate officer to federal Robertson MP Lucy Wicks, won the vote to succeed Gallacher with support from the centre right, securing 29 votes against 23 for the moderate-aligned Peter Poulos. Martin was accused of bullying behaviour in the lead-up to the preselection, with minutes of a party branch meeting recording he had been ejected after calling another member a “Nazi”. His preselection for the election was challenged by the hard right-aligned Teena McQueen, but she withdrew on the eve of the vote. McQueen too accused Martin of verbal abuse, lodging a complaint to that effect with Liberal state director Chris Stone, although the circumstances of their exchange were hotly disputed. The northern Sydney province position was vacated in November 2017 with the retirement of Greg Pearce, a factional moderate who had served on the back bench since losing his position as Finance Minister in July 2013 over a failure to declare a conflict of interest. The moderates secured the succession for Natalie Ward, staffer to Pearce and the wife of David Begg, a business partner of moderate powerbroker Michael Photios. Ward won the ballot 66-58 ahead of Rachel Merton, a KPMG executive who had support from the right. Conservative party activist and perennial preselection bridesmaid Walter Villatora ran for the position at the election, but could only amass 38 votes to Ward"s 109. The highest of the at-large positions, attached to the number seven spot on the party ticket, has gone to Natasha Maclaren-Jones. A member of Alex Hawke's centre right faction, Maclaren-Jones was first elected at the 2011 election from the number eight position. She hoped to secure a higher spot for the coming election by contesting the north-western Sydney province position, but settled for backing to win the highest at-large position as part of the deal that moved Damien Tudehope to the upper house to make his seat of Epping available to Damien Tudehope. She was thus able to secure a 193-178 winning margin in a preselection vote against the other of the three at-large candidates elected in 2011, Peter Phelps. Phelps, who has developed a maverick reputation in his time as a parliamentarian and earlier as a political staffer, maintains his position from 2011 at number nine  easily enough to have elected him last time, but a dubious proposition at the election to come. The three positions mandated to the Nationals on the Coalition ticket include the safe second and fifth positions, and an eighth position that could go either way. All three are being contested by incumbents, with the other of the four members elected in 2011, Rick Colless, to retire. The highest of the three positions goes to Niall Blair, who won the third of the fourth Nationals seats in 2011 from number 10. Blair was promoted to the ministry in the primary industries portfolio after the 2015 election, and further gained trade and industry after Gladys Berejiklian became Premier in January 2017. His portfolios have placed him at the centre of the storm surrounding the Menindee fish kill, his handling of which has been criticised by the Royal Commission into the Murray Darling Basin Plan. The second Nationals candidate is Sarah Mitchell, who was the last of the 11 candidates elected in the Coalition's unprecedented sweep in 2011, and the fourth from the Nationals. Mitchell was promoted to the ministry when Gladys Berejiklian became Premier in January 2017, taking on Aboriginal affairs and early childhood education. The loseable eighth position goes to Wes Fang, who filled a casual vacancy created by the retirement of Duncan Gay in July 2017. Gay held the highest Nationals position on the ticket at the 2003 and 2011 elections, but was dropped from the ministry in January 2017. Fang is a Wagga Wagga-based former pilot with the army and Telstra Child Flight, and the state Nationals' first ever representative of Chinese ancestry. There were calls from local Liberals for Fang to be dropped from the ticket after the Wagga Wagga by-election in September 2018, in which he was accused of assisting Joe McGirr, the independent who defeated Liberal candidate Julia Ham. After Liberal upper house MP Matthew Mason-Cox accused the Nationals of “appalling treachery” during the campaign, Fang responded with text messages calling him a “c**t” and a “prick”, for which he refused to apologise. 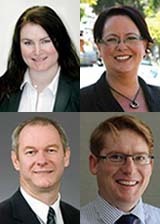 Labor returned only five members in 2011, of whom three are on the ticket for the coming election. The other incumbent on the Labor ticket, Daniel Mookhey, filled a casual vacancy created when Steve Whan quit for an unsuccessful run in the lower house seat of Monaro at the 2015 election. Whan in turn filled a vacancy created when Tony Kelly resigned months after the 2011 election following a finding of corrupt conduct by ICAC. Excluded from the ticket is Ernest Wong, who replaced Eric Roozendaal after his resignation in May 2013. Wong's Chinese connections came under scrutiny after the resignation of Senator Sam Dastyari, who had helped him secure preselection, with reports suggesting Australian security agencies believed Chinese intelligence operatives had sought to cultivate him. The upper order of Labor's ticket alternates between candidates of the Right and Left, with the odd-numbered positions taken by the Right. The lead candidate is Tara Moriarty (top left), president of the liquor and hospitality division of United Voice. She won preselection with the backing of the Right, despite her union's alignment with the Left. Moriarty was the fifth candidate on Labor's Senate ticket at the 2016 double dissolution, and was mentioned as a possible replacement for Sam Dastyari in January 2018, before the position was secured for Kristina Keneally. As a member of the Left, Penny Sharpe (top right) has only the second position on the ticket, despite her seniority as the party's deputy leader. Sharpe has been in the Legislative Council since 2005, outside of an interruption when she quit in March 2015 to run for the lower house seat of Newtown, where she was defeated by Jenny Leong of the Greens. Despite saying at the time she would not seek to return to the Legislative Council if defeated, she ended up nominating for her own vacancy and formally returned the following May. Sharpe has been in the shadow ministry since the 2011 election defeat, serving in the transport portfolio in the first term, moving to environment and planning after the 2015 election, and exchanging planning for trade in March 2016. She was elected unopposed as the party's deputy leader when Michael Daley moved from that position to the leadership in November. At number three is Greg Donnelly (bottom left), who has served in the chamber since 2005, having previously been state secretary of the Right faction Shop Distributive and Allies Employees Association. Donnelly has remained on the back bench throughout his time in parliament. The fourth position goes to Left-aligned newcomer Anthony D'Adam (bottom right), an official with the Media Entertainment and Arts Alliance, whose earlier union career included a stint with the forestry division of the CFMEU. 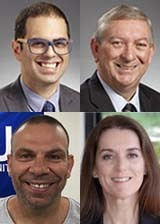 In fifth place is a Right-aligned incumbent, Daniel Mookhey (top left), who filled the vacancy created in March 2015 by Steve Whan's unsuccessful run for the lower house seat of Monaro. His earlier role as chief-of-staff at the Transport Workers Union brought him to the attention of the Royal Commission into Trade Union Corruption, which queried him over a slush fund linked to the union that was used to fund campaigns for other unions, and rejected some of the evidence he provided. The Left-aligned candidate in sixth place is veteran incumbent Peter Primrose (top right), who has served in the chamber since 1996, and earlier served a term as member for the lower house seat of Camden from 1988 to 1991. Primrose was the President of the Legislative Council from May 2007 to November 2009, then served as a minister in various portfolios through to the 2011 election defeat. He then went back to the bench, but returned to the shadow ministry in March 2014, and has held the local government portfolio throughout the current term. The seventh candidate, Mark Buttigieg (bottom left), is an industrial organiser with the Electrical Trades Union and former Sutherland Shire councillor. His preselection was pushed through by the ETU in the face of concerns within the Right over his past association with the Left, which reportedly included a connection with Arthur Gietzelt, the former Senator believed by ASIO to have been a communist agent. At number eight is Julie Sibraa (bottom right), Right-aligned former ministerial staffer and director of the NRL club Manly Warringah Sea Eagles, and the wife of former Senator Kerry Sibraa. The Greens were boosted to their best ever performance in 2011 by the parlous state of Labor, winning three seats compared with their more usual two. Of the three elected candidates, David Shoebridge will retain his position at the top of the ticket at the coming election; Jan Barham resigned in February 2017 and was replaced by Dawn Walker, who now takes the third position; and Jeremy Buckingham quit the party in December after a motion of its state delegates council called on him to relinquish his position, and will now run as an independent. The second place on the ticket goes to a newcomer, Abigail Boyd. The party's widely publicised internal disturbances loomed large during the preselection process, which overlapped with the sexual misconduct allegations against Buckingham. A vote to determine the ticket last May was dominated the two male incumbents: David Shoebridge, a former lawyer associated with the party's hard left tendency, who filled the vacancy created by Sylvia Hale's retirement in September 2010; and Jeremy Buckingham, a moderate who came to parliament at the 2011 election. This had the effect of reducing Buckingham to the difficult third position, which he would eventually relinquish, since the party's rules reserve one of the top two positions for a woman. The second position accordingly went to the strongest performing female candidate, corporate and finance lawyer Abigail Boyd. However, the situation was complicated by the preference distribution that pushed Boyd ahead of incumbent Dawn Walker, who filled Jan Barham's vacancy in 2017 after a narrow and contested preselection win over Kelly Marks. Walker got most of the preferences from Buckingham's surplus, but Boyd drew most of those from Shoebridge, which was the larger. When the party organisation resolved that Buckingham's withdrawal should be dealt with by simply elevating Walker from number four to the vacant number three, Walker lodged an unsuccesful protest with the support of her moderate backers, saying the matter should instead be dealt with through a full preference recount. This would have availed Walker of most of Buckingham's vote, presumably allowing her to take second place. In addition to the Coalition, Labor and the Greens, the election will be contested by four groups with existing parliamentary representation (taken to include Jeremy Buckingham, formerly of the Greens and now running on an independent ticket), and 13 without. The latter include the resurgent One Nation, who have thrown a wild card into the deck by endorsing former federal Labor leader Mark Latham. Latham's tenure as a federal politician ran from 1994 to 2005, when he held the seat of Werriwa for Labor, and he served as leader from December 2003 to the end of his parliamentary career. His alienation from the party was cemented with the publication later in 2005 of The Latham Diaries, in which he sharply criticised the party's factions and most of its leading figures. The subsequent evolution of his political views was characterised by growing hostility to the left, and he welcomed the election of Donald Trump in November 2016. Latham joined the Liberal Democrats in May 2017, prompting speculation that he would use the party as a vehicle to enter state parliament, partly through a desire to avail himself of parliamentary privilege. However, suggestions that policy differences were leading him to consider other offers were borne out when he was announced as One Nation's candidate in November. The second candidate on the One Nation ticket is Rod Roberts, a former policeman based in Goulburn. Liberal Democrats Senator David Leyonhjelm may have had other ideas in any case, as he announced in December that he was leaving the Senate to run for the Legislative Council. Leyonhjelm was elected in 2013 with considerable assistance from his first placement on an enormous Senate ballot paper and confusion between his own party's name and that of the Liberal Party. He was then able to win re-election courtesy of the lower quota at the 2016 double dissolution election, at which he secured a three-year term by winning the state's twelfth and final seat. He announced his intention to move to state politics in December, presumably having calculated that the lower quota in the Legislative Council gave him a better chance of maintaining his political career than another shot at the Senate. The lead Christian Democratic Party candidate is Paul Green (left), this being an off cycle for Fred Nile, who remains in parliament at the age of 84. Green is a former mayor of Shoalhaven who has held his upper house seat since the 2011 election. The Shooters Fishers and Farmers ticket will be headed by Mark Banasiak (right), president of the Sporting Shooters Association. This follows a surprise announcement in February that the party had voted to dump incumbent Robert Brown, who has been a member since 2006. The party's other incumbent, Robert Borsak, said the decision had been made to promote 37-year-old Banasiak in the interests of generational change, since Brown was 68 and would be 76 by the end of another eight-year term. Animal Justice won the final seat at the 2015 election, and can now hope for a second seat to complement that of Mark Pearson, who is in the middle of his eight-year term. The party's lead candidate is Emma Hurst (left), campaign adviser for World Animal Protection. Among the unrepresented parties is Keep Sydney Open, which arose out of the campaign against the lockout laws that have decimated Sydney's nightlife, and has received further impetus with the government's tight new regulations on live music events  an electorally promising concern for young voters especially, whose interests tend not to receive due recognition from the news media. Their lead candidate is Tyson Koh (right), a former producer with ABC Television's late night music program, Rage.